The Honeywell 50028044-001 Replacement Inline Filter for TrueSteam Humidifiers removes sediment from the water before it is used by humidifier. 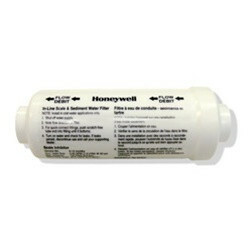 The Honeywell 50028044-001 Replacement Inline Filter fits all Honeywell steam and evaporative humidifiers. It will also fit AprilAire evaporative humidifiers.